To receive the free sandwich, guests need to show a printed or digital coupon when ordering. 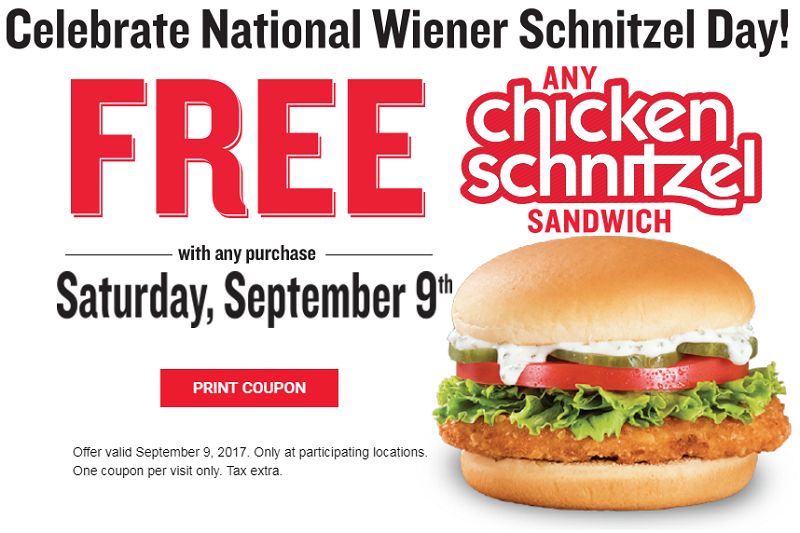 The coupon can be downloaded or printed by clicking here. Plus, the chain is adding gourmet quarter-pound bratwursts and Italian sausages to its menu for the first time, for a limited time, in celebration of Oktoberfest. The bratwurst is served with grilled onions and mustard on a warm, brat bun, while the Italian sausage is topped with peppers, onions and mustard. The sausages will be available through through October 29 at participating locations. This entry was posted in German and tagged free stuff by John Plessel. Bookmark the permalink.